Oh, my Whiskers. I have the pleasure of interviewing a Victorian cat character today. What is your name and your author’s name? My name is Lucky. The author in question is Marie Lavender. Mice to meet you. I believe your author is with my author’s publisher, Solstice Publishing. I appeared in Upon Your Love. This is a historical romance/family saga novel, which is set in 1894. Boy, that’s a long time ago. Debbie wrote a short story romance taking place around that time called The Seashell and the Stone. It featured a Victorian cat named Seashell, unusual name for a cat if I say so myself. I’m not in the whole series, but Upon Your Love is part of a trilogy with a maritime theme. Plus, as I said before, I live in the Victorian era. According to the author, the Heiresses in Love Series is about the Hill family and it spans many generations. There sure are enough people at the Bellamont estate! Loosely, yes. I am based on a cat named Gingerbread, whom she fostered briefly until another family took over. She took many of my sweet qualities from Gingerbread – renamed ‘Cheddar’ later…gah! – but my tendency to get into mischief is all me, I’m proud to admit. Interesting. I like your cattitude. Two days later, Adrienne played on the floor with Lucky, in her boudoir, tossing about one of her Maman’s spare, blue balls of yarn. She heard a knock at the door, but the feline had nudged the ball beneath the bed and she had to fetch it. A much harder task than she imagined, for Lucky was getting stronger. She finally retrieved it but, upon rising, she heard a sound behind her. Turning, she spied Eric. Clearly, he’d only come in to see if she was all right. She knew he wouldn’t have intruded otherwise. She glanced around to check her kitten’s whereabouts and winced as the animal playfully pounced on his black, leather boots. As Eric stood there in the middle of the room, his brown gaze narrowed on the orange cat while his lips twitched a little. The amusement in his eyes gave him away as well. “But, not who,” she accused. “It could have been anyone.” She rushed to the vanity and ran a brush through her dark hair. She smoothed the wrinkles in her forest green, satin day gown, which had long sleeves and a ruffled collar. The request was vague at best. Christian was rarely a gentleman of leisure so he must have a purpose in coming. Eric’s masculine laugh echoed as he left the room. Adrienne drew a deep breath, and departed from her boudoir. She took the stairs, and peeked in a few rooms, until she found Christian standing in the library. As handsome as ever dressed in a gray day suit, he eyed her father’s collection of literature. His black, wavy hair was a bit longer now and had started to curl up over the collar of his coat. “This collection is quite extensive,” he commented, as if he’d known all along that she stood there. He frowned and looked at her as if she’d lost her mind. She wanted to laugh as one dark eyebrow lifted in inquiry. You don’t appear much in that scene, but I like the human characters, and it must’ve been fun jumping on that guy’s boots. I like that Adrienne found someone she could love – me! – someone who reminded her of her own positive qualities. I believe the love between human and cat and even human character and cat character can be quite rewarding for both parties. I am silent for the most part, except when I want my pet human’s attention, and especially when I’m hungry. My author’s cat, Oliver, on whom I was loosely based, enjoyed playing in Debbie’s daughter’s hair when they first got him. I don’t, but Marie’s new release is Directions of the Heart, which came out on July 25th. It is a modern romantic drama collection. Also, Marie is currently editing Blood Instincts, a futuristic paranormal romance/urban fantasy novel and book two of the Blood at First Sight Series. She hopes to see that out sometime this year, or in the early months of 2018. (Shudders.) It’s not for me, though. Vampires are scary! Vampires and cats don’t mix well, but those sound like appealing books to some humans who enjoy reading scary stuff. Your author is certainly well connected. 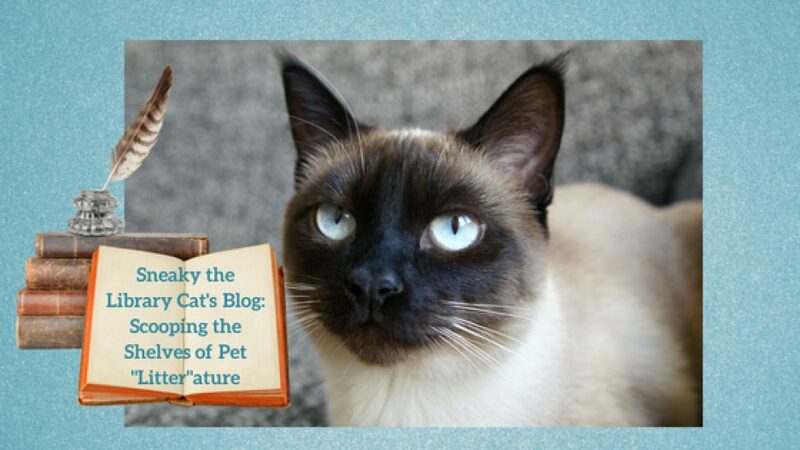 It was a pleasure to chat with you, Lucky, and I know your author has some other cat characters as well as her real life cats who will be appearing on this blog for future interviews. In the meantime, best whiskers to you.